Andrew and Sarah Bowman come from diverse backgrounds, both working with horses since a young age. Andrew grew up on a cattle ranch, riding the mountains, working and roping cows. Sarah has been showing horses including English and Western disciplines, favoring Reining and Versatility Ranch Horse. She went on to earn an AAS in Equine Science and Training in 2005. The two joined forces and started their own training and boarding business in 2008. Since then, Andrew has competed in two Mustang Training Competitions placing in the top 10 both times, and done some pen riding at a feedlot. Sarah enjoys competing in Versatility Ranch Horse Competitions. 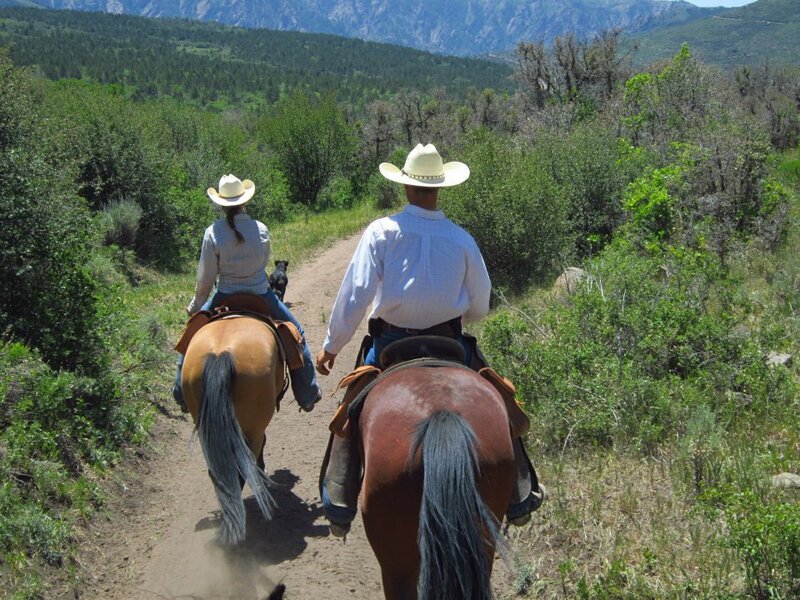 They both continue to do ranch riding which includes caring for the herd of registered Gelbvieh cattle they raise. Kyanne Brooke Bowman joined the team on May 5, 2013. She loves being apart of the action and helps 'train' the puppies and move the cows. She has a pony she enjoys riding. Rio Zane Bowman is the newest addition, coming on the scene October 4, 2018. Kyanne’s miniature horse will be passed down to Rio next year. Andrew and Sarah pride themselves in raising quality dogs. They have come to realize just how beneficial having a good working dog can be when it comes to moving cattle. They desire to produce the kind of dogs that will improve cattle handling efficiency. The puppies being produced at Master's Hand Training are doing just that! In addition to raising registered Border Collies and registered Gelbvieh cattle, Andrew and Sarah work with a cowboy ministry reaching out to the 'ag' kids in the community. They help put on Rodeo Bible Camp and Horse Training Camp in the summers as well as lead a youth group throughout the year. Their goal is to help kids improve their horsemanship skills and more importantly teach them about Christ and His saving grace. If time ever permits, Sarah also enjoys drawing and painting. Her favorite subject is Western Still Life such as saddles and boots. Click the button below to view some of her artwork.